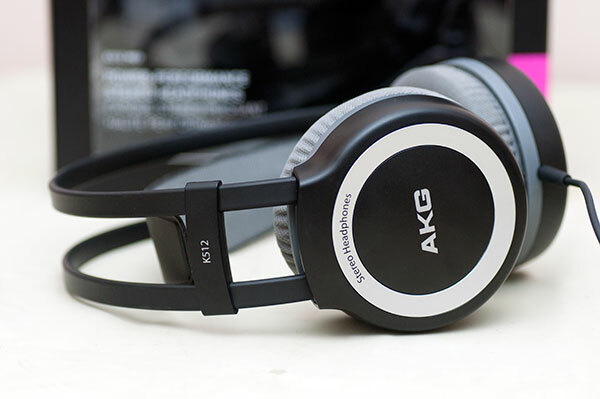 AKG have been reinventing themselves somewhat of late with some notable releases such as the K550 and the K495 NC headsets and have been garnishing more than favorable feedback from the headphone community as a result. Not to be ignored their lower tier headphones have all gone through a revision as well and the K5 series (512 and 514) are no exception. I managed to get a loan of the K512 MK2 from AKG Philippines for curiosity sake to see if the lower end cans are going through similar revisions for the better. You know I am really digging the new AKB boxing materials but I wonder if putting a sub $100 headphone into the essentially the same box as their $300 headphones is the right way to do things in terms of market differentiation. Sure the cheaper ones benefit from a classy box but the mid-fi cans might suffer from an identity crisis as a result. packaging means a lot when you come to make that purchase; take the LCD-3 headphone – looks identical in almost every way to the LCD-2 but sounds a whole lot better to many yet the conclusion is that it is not double the money better. My take on that is that the packaging and looks played a role in that subjective conclusion. 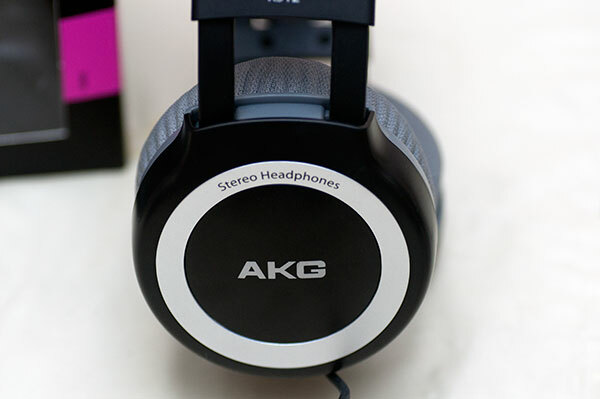 Still the previous MK1 packaging wasn’t bad either so you have to give AKG some respect for wanting to give you a nice layout even for the lower tier headphones. And boy is this headphone light for the size! Specs say 200g but it doesn’t feel 200g on the head to be honest. In terms of design functionality not much has really changed with the Mk2. It’s the same over the head tube system with stretchable pleather and cloth band seen on the higher end K series like the 701/2. I always found this system from AKG to be super comfortable and true enough it is though not the most pleasing of sights when outdoors to fellow commuters and pedestrians but heck I have seen bigger and vulgar on the roads before. Its a plastic construct but molded pretty well. The cable is not detachable and quite long at 2.5m and so outdoor use it can get a little congested if stuffing in your pocket along with a DAP and headphone amp if that is your setup. The cable does suit home use a bit better but those of a DIY nature can probably do something to shorten it pretty easily. It is terminated with a 3.5mm as standard with a screw off quarter jack which is the norm these days for most headphones at this price point. The comfort levels on the head are above average though the more rounded cup revision from the original K512 is not my total favorite. I would prefer the more oval shape since the more rounded ones tend to pressure a bit more around my ear but they are big enough not to be an on-ear cup and with continued use I can’t see on-ear fatigue being a major issue fit-wise. The pads are foamed nylon with the new obligatory AKF big L and R on the inside which I am a fan off. Why didn’t anyone think of this before? I mean seriously you spend ages looking for a tiny L and R on other cans but here it is right in the middle in huge letters and they look great. Isolation wise they are average. the rounded cups combined with the nylon cloth covering doesn’t give a good a seal as softer pleather like the HD25 or even the tma-1. The clamping is not super tight like the K518 LE thank god but overall a comfortable fit aided by the fact they are very light indeed. At 32 ohms and 109db you do not need an amp to power these to satisfactory levels to be honest. My testing setup was a Nano 4th Gen and a Fostex HP-P1 DAC/AMP for most of the review but without the Fostex I found, albeit with varying degrees of quality, the nano to power the K512 MK2 to satisfactory levels. With the nano on its own about 75% volume was sufficient for my needs and around 11am on the pot for the HP-P1 (Gain 3) using 320k mp3. Without giving the game away too soon if you are going to match up with an amp I suggest a slightly warm or dark amp because out of the box these cans zing like no tomorrow with hot treble and really could do with some offsetting either through EQ or a dark analog warm amp. I was tempted to pair it with the ALO Continental for fun but honestly I don’t think anyone is going to buy a Continental to offset the hot treble on the K512 MK2 – right? Best amp matches would be FiiO E11 or FiiO E17 or the new Mingo headphone amp which is around $160 and has a nice smooth tonality. Those with Cowon DAP’s just go straight to your EQ settings and you will be happy enough. Well as I mentioned out of the box I found the headphone to be essentially neutral to bright with hot zingy treble and a touch of sibilance with good mids and a slightly shallow bass. Honestly this didn’t surprise me. AKG just don’t do uber-bass consumer cans (outside of the K518 LE) and probably never will so long as the same ears are employed in R&D in Vienna. Mids are what AKG do well and in this instance the mids are not that bad actually though lacking in a little meat. The K512 is clean and above average headphone in terms of detail and accuracy which I have often thought is what AKG is all about rather than pure musicality and gut wrenching bass. Shallow bass doesn’t mean no bass, more of a coherent bass reproduction that doesn’t color the tonality of the headphone itself. A great example is Royksopp’s “And the Forest Began To Sing” from their Senior album – this has tons of delicacy and a great bass line and strong synth and the K512 MK2 handles it pretty well without it being excessively bass heavy and not a hint of muddiness. 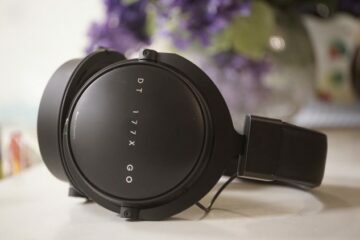 They are definitely a more open and balanced headphone (for a closed can) than some of the similar prices competitors in the market today and present a more considered sound for those who are not turned on by thick analog bassy cans that seem to be in vogue for many. For genre matching I found the K512 MK2 to be more versatile than most. With electronica and dance it does miss a thumping bass line but its coherence and more neutral sound give it an ability to perform to satisfactory levels without feeling I missed out on anything too much. It coped a lot better on more ambient tracks where details are more important that driving musicality. It did become a tad more fatiguing on some metal genres which showed up the hot treble a bit too much at times. 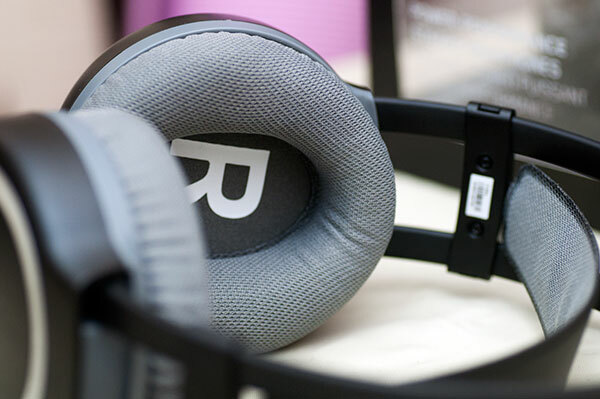 Match this with slower delicate emotional music such as Sarah McLauchlan’s ‘Angels’ of the City of Angel’s OST then you know where this headphone shines – great mids guys. I can see this headphone attracting a loyal following. I do wonder at this price range if a mid-centric headphone will capture a huge market though. Not everyone is a basshead, least of all me so I can understand and appreciate a headphone of this type. It’s not quite portable class with a large form factor but it looks pretty durable and its easy enough to drive right out of your DAP. EQ that hot treble and match with a darker amp and you might have something smooth and clean and fast for a pretty competitive price. 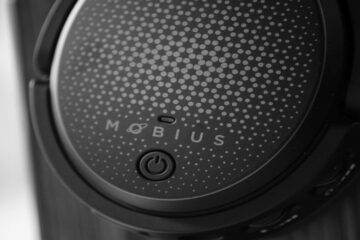 I’d like to know how do this headphone compares to Superlux HD668B. I know this is closed, the other is semi-opened, but I going to buy a new pair of budget hp and don’t want to buy both to see how do they compares in terms of 1) comfort; 2) sound. Thanks for your help, and congratulation for the great review. Tricky since I have not heard the HD668B in a long time but the AKG should be a better build and slightly lighter with better warranty support and a little cleaner in the highs and mids. I saw these as low as $20 in a British Supermarket recently so that’s bang for buck for me but they do indeed have the classic bass lite signature of most AKG cans apart from the DJ range. Sadly I never got a chance to have the review unit for more than 3 weeks to see if they fall apart like what they did for you. I must say I’m surprised on how positive everyone has been on these, since the quality is not great. The inner head band came of after only 3 weeks of usage and you loose at lot of info at the highs and lows. I love AKG’s quality for their high range models, however the low range Sennheisers seem a better bang for your buck. I just got this headphones for use as one of the monitoring phones in the vocal room. I cant believe how exceedingly bright and trebly this thing is, I have to cut off almost of the highs at the headphone amp to make it sound acceptable in the booth. Leakage is unacceptable for recording. Unlike the AKG k100 which is more neutral and closer to the sound of my yamaha ns10m speakers, I dont recommend the k512mkII for listening at loud levels and long periods of time. Be warned. Thanks Connor! I am greatly encouraged by the sub $100 price bracket has to offer these days in terms of good sounding headphones.